What is your connection to the Shark Lab? My first visit to Bimini and the Sharklab was in August 2011 with a Tropical Marine Biology course I took while finishing my undergraduate degree at the University of Minnesota. Needless to say the week was amazing! The course didn’t even focus on sharks. But we did do a reef shark dive, handled baby lemons, and caught a Tiger shark on the deep line. After that little taste of shark action I new I needed to return and volunteer. I spent the following the summer working in Alaska as a North Pacific Ground Fish Observer for National Marine fisheries Service. 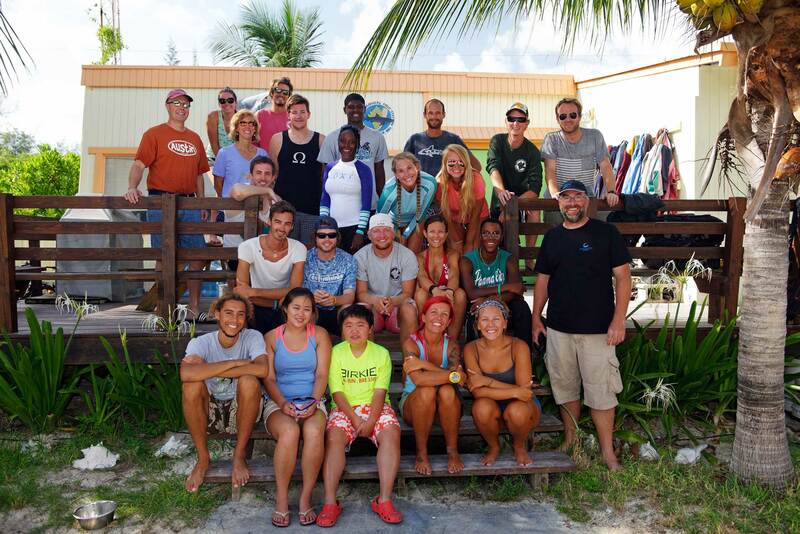 However, before that adventure, I had applied to return to Bimini and volunteer at the Sharklab. As fate would have it the vessel type I was assigned to was one that spent 2-3 weeks at sea at a time. Luckily though on one of our offloads I had some free time on land. 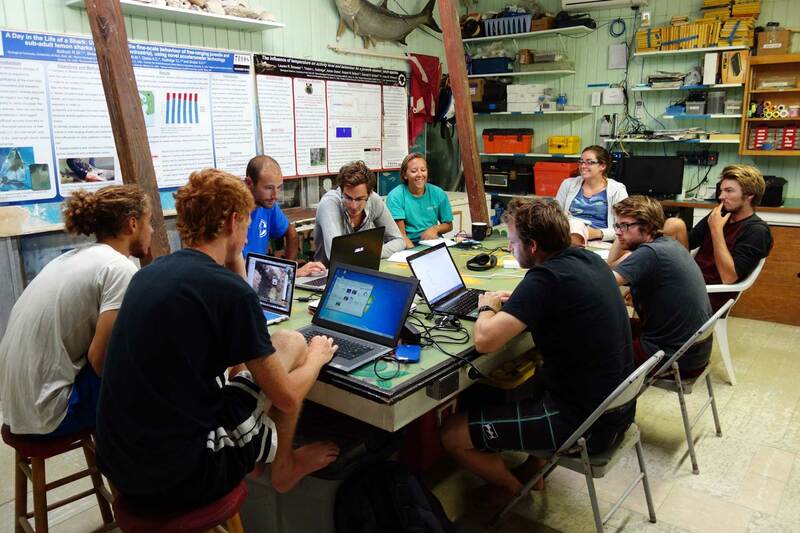 That’s when I received the email that I had been accepted as a Sharklab volunteer! If the trip would have been a few days longer I would have missed the deadline to confirm my spot, and the next three years of my life would have been drastically different. As of mid-November 2014 I have been at the station in various capacities for three years. I spent about three months as a volunteer, one and half years as an assistant manager, and another year and a half as one of the stations Lab Managers. Tell us a story about Doc? We had one particular reef shark dive that we did while Doc was here. I don’t remember whether it was with a university course or just with our volunteers. Doc hadn’t been out to the station for awhile. The shark dive itself was good. We had a good number of reef sharks and the visibility was good as well as the surface conditions. It’s a standard practice that after we finish the feeding portion of our dives, we let everyone swim around. I remember Doc being anxious to get in the water. After awhile when almost everyone else had got out of the water Doc was still in free diving to the bottom. It was obvious how much he was enjoying himself still in a place he has been coming to for years. 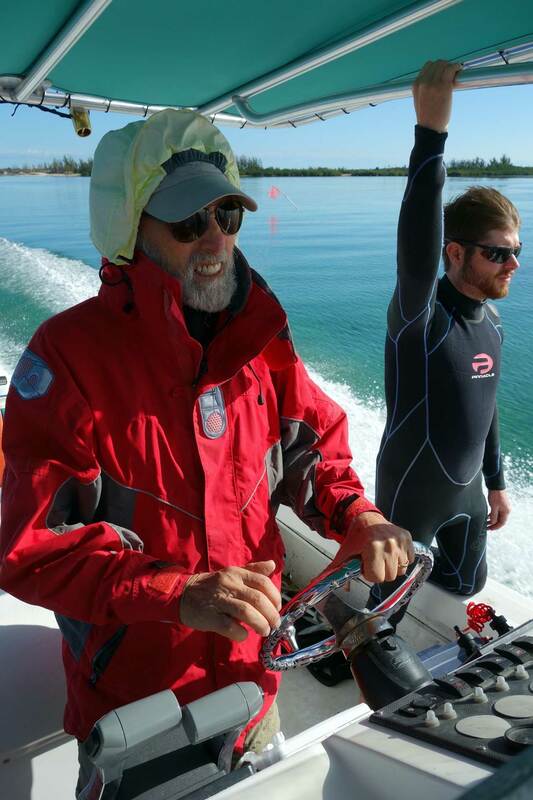 I think it encapsulated how important the sharks, the lab, and Bimini are to him. Tell us a story about the Shark Lab? My favorite story at the Sharklab involves a deep line. In my time at the lab I have had two separate stints as an assistant lab manager. The first time I was sort of an interim assistant. Right before I was meant to finish my time as interim assistant, we did a deep line set. As we were pulling the line up a massive shadow appeared from the depths. As we continued pulling the line in a very large Tiger shark materialized. Once we got the shark secured to the side of the boat, and got a good look at her size it was even more apparent how large this shark was. We began doing the typical work up on her taking DNA, stable isotope, and tagging her with a Casey tag. Then we got to the length measurement, and we found out how large she was. She ended up being 3.92 meters! We remeasured her multiple times hoping she would be 4 meters to no avail. It was and still is the biggest Tiger shark I have seen at the lab. And what made her extra special was that at the time I thought it was going to be the last shark I saw. As fate would have it I returned to the lab 5 weeks later. 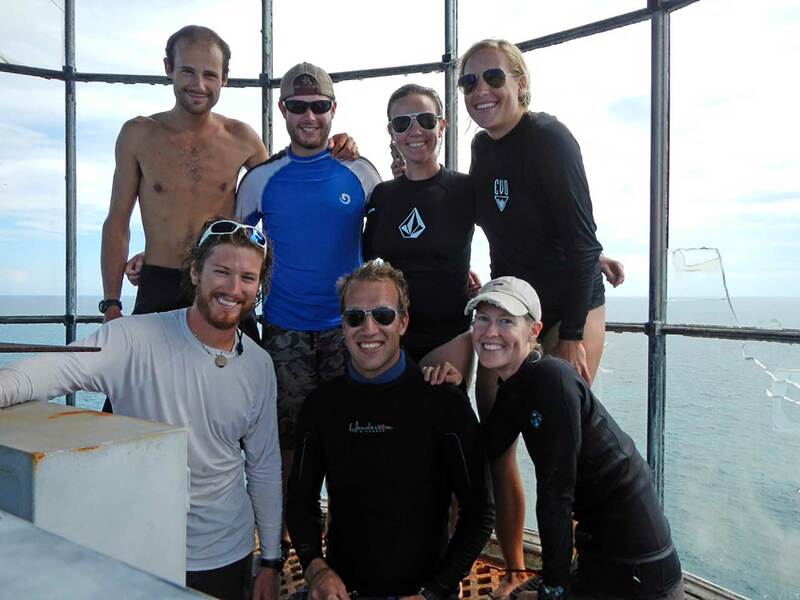 How did meeting Doc and working at the Shark Lab change your life? It’s certainly going to make having any other job afterward much harder ha-ha. Being here has definitely been a life changing experience. Before I came here I had never been out of the upper Midwest in the United States, never seen an ocean, or even flown on a commercial flight. As much as it is an awesome and unique place to be anyways it has also helped me grow as a person. I’ve had so many experiences that would be really hard to get anywhere else. In addition I have met so many people from around the world. The experience as a whole has been amazing and certainly for the best for me. 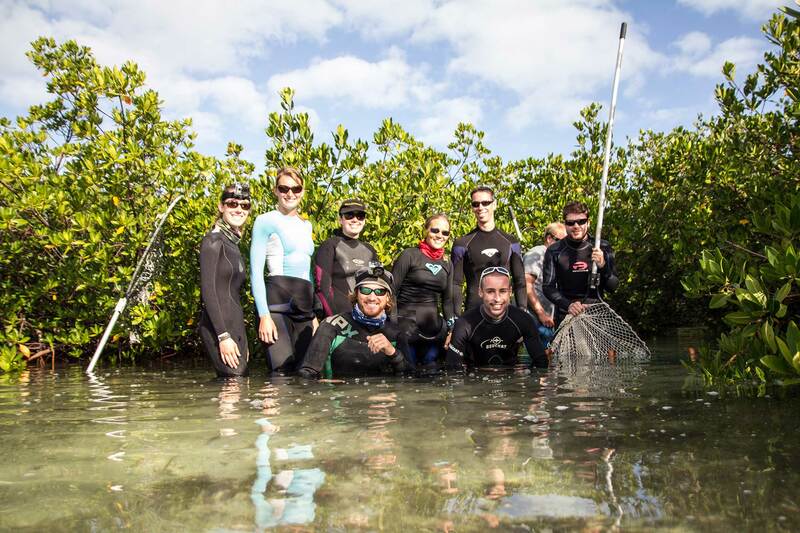 Established & incorporated in 1990 by Dr. Samuel Gruber, today the Bimini Biological Field Station Foundation (BBFSF) is a 501 (c)(3) non-profit organisation located on the island of South Bimini, Bahamas. The mission of the BBFS Foundation is to advance our knowledge of the biology of marine animals especially the heavily impacted elasmobranch fish fauna (sharks and rays); to educate future scientists at undergraduate and graduate levels; and to disseminate our research results to advance the field of marine science and conservation biology, as well as raise public perception and awareness of sharks and other marine species.